Adjacent to the D-Day Museum on Clarence Esplanade. "The Sherman was the most widely used Allied tank of the Second World War; 49,000 were produced. 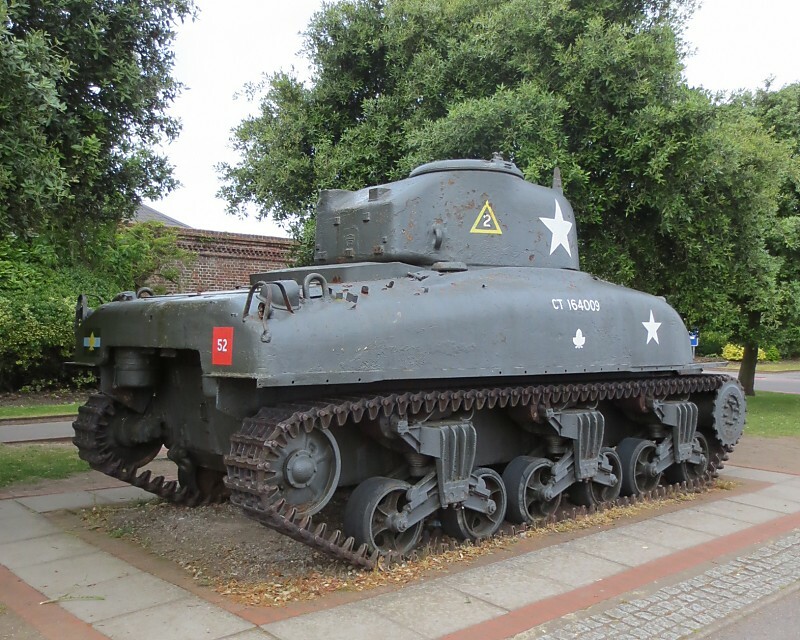 Although not equal to the best German tanks in terms of armour or armament during the Normandy Campaign, the Sherman made up for this by its straightforward design, mechanical reliability and, above all its availability in large numbers, This particular Sherman was one of only 188 built by the Montreal Locomotive Works in Canada. The Canadians called their version the 'Grizzly'. Production stopped after four months in December 1943, as enough Shermans were now being produced by American factories. 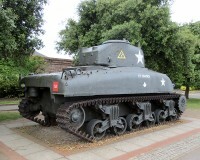 The [D-Day] Museum purchased the tank in 1983. It was one of fifteen recovered from a scrapyard in Portugal, having been in service with the Portuguese army. It was restored by the Solent Branch of the Military Vehicle Conservation Trust and given the markings of the Second Canadian Armoured Brigade."